Malumalu, 45, is a Roman Catholic priest from the eastern province of North Kivu. He has been head of the commission, known by its French acronym CEI, since its inception in 2003, at the end of the inter-Congolese dialogue, which resulted in the formation of a transitional government. Malumalu controls the US $440-million electoral process in this country almost the size of Western Europe. Members of civil society refer to him as a dynamic person of integrity. Malumalu has a doctorate in political sciences from the French State University of Grenoble II and a master’s degree in human rights from the French Catholic University of Lyon. He also holds a postgraduate certificate in philosophy from the French Catholic University of Lyon as well as another degree in theology from the same university. He announced the final list of the 33 presidential candidates. Swing, 72, is the special representative of the United Nations Secretary-General in the DRC and head of the UN Mission in the country, known as MONUC. This native of Lexington, North Carolina, is a career United States diplomat who has had several postings in sub-Sahara Africa. He heads the International Committee for the Support of the Transition, known as CIAT, which was created at the end of the Intercongolese dialogue on 4 April 2003 in Sun City, South Africa, by the endorsement of the agreement by all Congolese components in this meeting to help ease the DRC'S transition to democracy. As head of MONUC, which was established by the UN Security Council on 30 November 1999, Swing has been a major figure in facilitating efforts to restore peace and democracy to the country. Swing knows the country well, where he served as US ambassador from August 1998 to August 2001. He has also served as the US envoy to Liberia, Nigeria, Republic of Congo and South Africa. Before his current UN appointment Swing was, until 2003, the special representative of the UN Secretary-General and head of the UN Mission for the Referendum in Western Sahara, or MINURCO. Swing speaks Lingala (the main language in western DRC), Swahili (the main language in eastern DRC), German and French. Kamerhe was born on 4 March 1959. Originating from South Kivu, he received a master’s degree in economics from the University of Kinshasa. Then he became an adviser to several ministers, until becoming head of the Office of the Minister of Higher Education in 1994. In 2000, president Laurent-Desire Kabila appointed him as deputy commissar-general for MONUC. In 2002, he was the commissar-general in charge of the follow-up of the peace process and, as such, one of the main negotiators on behalf of the government of Joseph Kabila. On 30 June 2003, President Joseph Kabila appointed him minister of press and information in the transitional government. Kamerhe co-founded the presidential party, the Parti du Peuple pour la Reconstruction et le Developpement, and became its secretary-general in July 2004. Then he left the government. In 2006, he toured the country, including Jean-Pierre Bemba's constituency of Equateur Province, to introduce the PPRD and the electoral law to the public. In Kinshasa, he denounced the broadcast media which, he claimed, had spread hate against President Joseph Kabila and Vice-President Azarias Ruberwa. Kamitatu, 42, is a former speaker of the Transitional National Assembly. He left this post on 3 April after his party accused him of treason and relieved him of his duties. Although not a presidential candidate, Kamitatu plays an important role in the electoral process. It was under him that the Transitional National Assembly - with components from former belligerent groups - voted for the essential and sensitive laws which allowed the electoral process to go ahead; these include the laws on nationality, the army, the referendum and the adoption of the country's new constitution which received an overwhelming 'yes' vote during a referendum on it on 18 and 19 December 2005. 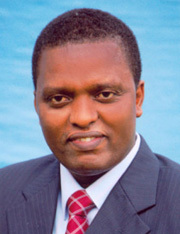 Kamitatu is the son of career politician Cleopas Kamitatu, who is considered one of the founding fathers of the nation. Some 319 parliamentary candidates are allied to Kamitatu, under the Alliance pour le renouveau du Congo, which is allied to another former rebel faction, the Rassemblement congolais pour la democratie-Mouvement de liberation-Kisangani (RCD-ML), whose leader, Mbusa Nyamwisi, is also running for president. Kamitatu was negotiator for his longtime friend Jean-Pierre Bemba's MLC in the inter-Congolese Dialogue. 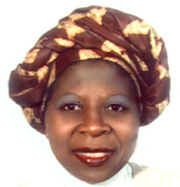 Kamitatu was then MLC secretary-general. He has a master's degree in trade and consular sciences from ICHEC/Brussels where he studied with Bemba. Kamitatu also has a bachelor's in economic development from ICHEC and another from the College of Finance, Kinshasa. However, MLC founder members expelled Kamitatu on 5 December 2005 for allegedly holding "clandestine negotiations" with rivals in preparations for the 2006 elections. The MLC said it did not ask Kamitatu to quit his position as speaker, a post attributed to the MLC as part of post-war power-sharing arrangements. Under the constitution, the MLC could not force him out of this job; only his death, voluntary resignation or conviction for high treason or theft of state funds could do that. He made his entry into politics during the 1998 war alongside Bemba, leader of the MLC. Prior to this, he was a businessman, running the Franco-Congolese (Zairean) Chamber of Commerce. He formed the first institute of survey in the DRC. Joseph Kabange Kabila - Independent. Joseph Kabange Kabila, 35, president of the DRC transitional government, was born on 4 June 1971 in Hewa Bora II, South Kivu Province in the east of the country. Kabila received his early education in the public school system in Fizi, South Kivu. He completed elementary school in Dar es Salaam, Tanzania, and secondary school in Mbeya, also in Tanzania. Today, he holds a bachelor's degree in international studies and diplomacy from Washington International University, which describes itself as a pioneer in distance education. Kabila is running as an independent and is thought to be a strong candidate in the presidential poll, given his incumbency. He was married on 17 June 2006 to Olive Lembe Disita, with whom he has a six-year-old girl. Although he leads the Parti du peuple pour la reconstruction et la démocratie (People's Party for Reconstruction and Development - PPRD), Kabila has said people outside his party had appealed to him to run as an independent. Kabila's opponents had objected to his candidacy, saying under the electoral law his military status as a serving army officer disqualified him from running for the presidency. However, he resigned his commission on 15 March so the electoral commission cleared him to contest the polls. He became president of the republic on 26 January 2001 following the assassination of his father, Laurent-Desire Kabila. His opponents claim he is not the biological son of the late president. Soon after assuming power, Joseph Kabila began negotiations with the country's different rebel factions in an attempt to unify the nation. At the end of these talks, he retained leadership of the country, as president of the newly-created transitional government, which is due to end its term on 30 June. 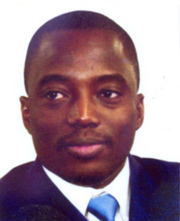 Before being thrust onto the political centre stage, Kabila was a guerrilla commander in Laurent-Desire Kabila's Alliance des forces démocratiques pour la libération du Congo-Zaire (the Alliance of Democratic Forces for the Liberation of Congo-Zaire, AFDL) movement, which he joined in 1996. The younger Kabila was made the movement's operations commander in what was known as the First Congo War. Following the AFDL's victory over President Mobutu Sese Seko, the younger Kabila went for further military training at the National Defence University in the People's Republic of China. On his return, he was promoted to major-general and in 1998 appointed deputy chairman of the joint chiefs of staff of the armed forces. 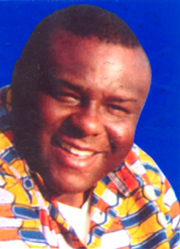 Jean Pierre Gombo Bemba - Mouvement de liberation du Congo (MLC). Bemba, 44, is vice-president in charge of finance in the transitional government. He is the leader of the Movement for the Liberation of Congo (Mouvement de liberation du Congo), on whose ticket he is contesting the presidency. Bemba made his debut in politics as financial adviser to President Mobutu Seso Seko. Son of a prominent businessman from Equateur Province, in the northwest of the country, Bemba set up MLC in 1998 with extensive Ugandan backing shortly after the outbreak of the civil war. As MLC leader, he controlled practically the entire north of the country during the rebellion. He had just returned from exile in September 1998 when he joined the rebellion. Prior to engaging in politics Bemba was a businessman. The holder of a master’s degree in commerce and consular science from ICHEC/Brussels. He first managed some of his father's companies that included an aviation company known as Scibe Airlift. He also set up his own telephone company, Comcel, which later went bankrupt. He also ventured into other businesses such as radio and television broadcasting, and still owns Canal Congo TV, Canal Kin TV and Radio Liberte. Bemba's links with Mobutu are not limited to the fact that they both hail from Equateur; one of Bemba's sisters is married to Mobutu's son, Zanga, who is also running for president. Ruberwa, 42, is one of the four vice-presidents in the transitional government and is in charge of defence and security. He is contesting the presidency on the ticket of the Rassemblement Democratie du Congo (RCD-Goma). The once Rwandan-backed RCD was a rebel group until the creation of the transitional government when it was transformed into a political party. 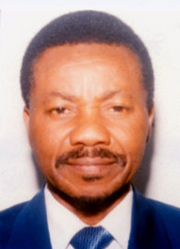 Ruberwa holds a law degree from the University of Lubumbashi in Katanga Province and was called to the bar there in 1993. He hails from Minembwe in the Hauts Plateaux region of South Kivu Province and is a Tutsi - an ethnic group known in eastern DRC as the Banyamulenge, whose ancestral roots are traced to neighbouring Rwanda. He entered the political arena during the 1997 rebellion against President Mobutu Sese Seko. With the success of the rebellion, he became director of the Office of the Minister of Foreign Affairs in President Laurent-Desire Kabila's government from 1997 through 1998. During this period, he represented the DRC at negotiations on the creation of the International Criminal Court, following the Treaty of Rome. Justine Kasa-Vubu M'poyo - Mouvement des Démocrates (MD). M'Poyo Kasa-Vubu was born on 14 April 1951 in Kinshasa. She is the fourth child of the first president of Congo, Joseph Kasa-Vubu, whom Mobutu Sese Seko overthrew in 1965. Since then, she has lived in Belgium, where in 1975 she received a master's degree in social sciences at the Catholic University of Louvain. She worked for a while at the Office of the United Nations High Commissioner for Refugees in Geneva. She was also a researcher on the epidemiology of disasters at the University of Louvain and at the Centre for African Studies at the Free University of Brussels, Belgium. In 1991, she joined the opposition Union pour la democratie et le progres social (UDPS), and become its representative in Belgium, the Netherlands and Luxemburg from 1992 to 1995. When Laurent-Desire Kabila was elected president in 1997, he briefly appointed her minister for public administration before dismissing her for reasons still unknown and sending her to Belgium as ambassador. In June 1998, she founded the opposition party, Mouvement des Democrates (Movement of Democrats). Kasa-Vubu is one of four women among the 33 presidential candidates. On presenting her candidature she complained about the US $50,000 fee for all presidential hopefuls saying, "It is a disguised way to eliminate the female candidates from the race." Her opponents, some of them women, generally consider Kasa-Vubu’s statements to be exaggerated. However, she could still win the popular vote in her home province of Bas-Congo where people remain nostalgic for the first republic. She has written several books, among them "Kasa-Vubu et le Congo independant" (Kasa-Vubu and the Independent Congo") and "Douze mois chez Kabila" ("Twelve Months With Kabila"). Vincent de Paul Lunda-Bululu - Rassemblement des Forces Sociales et Fédéralistes (RSF). 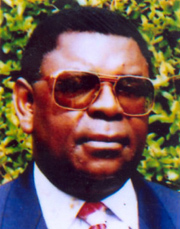 Lunda Bululu was born on 15 October 1942 in Mwena Mulota, Katanga Province. He received a doctorate in law from the Universite officielle du Congo (UOC) in Lubumbashi in 1966 and later earned other degrees in international law - notably at the Free University of Brussels - before becoming a teacher at the UOC and at the University of Kinshasa. He pursued a political career, becoming an adviser at the Office of the President of Zaire, from 1980 to 1985. He was then nominated secretary-general of the regional economic bloc, the Communaute Economique des Etats de l'Afrique Centrale where he served until 1990. In May 1992, he was made prime minister of the transitional government, until 1991. At the same time, he became the chairman of the Rassemblement des forces sociales et federalistes (RSF) and took part at the Conference Nationale Souveraine, the national conference on the country's political future. He was the minister of foreign affairs in the government of Kengo Wa Dondo for a year from July 1994. After the start of the rebellion against Laurent-Desire Kabila's administration Lunda joined the Rwanda-backed Rassemblement congolais pour la democratie (RCD), of which he was the spokesman and then coordinator of its Executive Committee. Following internal rifts, he joined Jean-Pierre Bemba’s Mouvement de liberation du Congo (MLC) in May 1999. 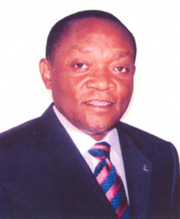 Lunda was one of the main representatives of this party at the inter-Congolese dialogue, before becoming a deputy in the transitional parliament. According to Lunda, the DRC has two priority concerns: the return of peace and security throughout the country, and the return of the authority of the state everywhere. "We should become new citizens able to contribute to the rebirth of our country," he said at a news conference on 14 June in Brussels, during which he announced his presidential candidacy. Christophe N'kodia Pwanga Mboso - Convention pour la République et la Démocratie (CRD). Mboso N'Kodia was born on 7 August 1942 in Kasongo Dinga, Bandundu Province. After gaining a master’s degree in political and administrative sciences at the Universite Nationale du Zaire, he was active in the field of education, notably at the University of Lubumbashi. He was elected political commissar for Bandundu Province in 1977, and won a seat in the Central Committee of the Mobutist party, the Mouvement Populaire pour la Revolution (MPR), until its dissolution in 1990. During the transition, Mobutu appointed him minister of mines and energy, then minister of youth and sports. After the Conference Nationale Souveraine in the 1990s, convened to debate the country's political future, he became vice-president of the MPR "fait prive", a wing of the former MPR. He was a minister for 13 months just before Laurent-Desire seized power. Mboso N'Kodia then sought asylum in Belgium and became the chairman of the Convention pour la Republique et la Democratie, a political party, which signed an agreement with the Rassemblement Congolais pour la Democratie (RCD) in April 2003. Three months later he was made an RCD senator in accordance with the Pretoria agreement. Mboso says his political manifesto includes an emergency programme to tackle the country’s human, economic, social and security degradation. On 24 May 2006, he was held under house arrest for a few hours in Kinshasa along with nine opposition leaders, including presidential candidates Roger Lumbala, Anatole Matusila and Joseph Olenghankoy. This incident happened after security agents arrested 32 foreigners for plotting a coup against the government of Joseph Kabila. Pierre wa Syakassighe Pay-Pay - Coalition de Démocrates Congolais (CODECO). Pay-pay, 60, is well known in the Democratic Republic of Congo, having served in various capacities, principally in the government of Mobutu Sese Seko. In 1980, President Mobutu appointed him minister for economy, industry and trade. He was appointed general delegate for the mining giant, Gecamines, in the province of Katanga in 1984. Pay-payalso served as governor of the Central Bank (Banque du Zaïre) from 1985-91, and minister of finance from 1994-96. He was born on 10 July 1946 in Bukavu, South Kivu province, and obtained a master's degree in economics at the Lovanium University in 1969. In 1975, he was nominated vice-president of the National Association of Pharmaceutical Sector Companies of Zaïre (Aneza). When Laurent-Desiré Kabila became president in May 1997, Pay-pay went into exile in Belgium. However, he maintained close links with the Mai-Mai resistance during the 1998-2002 civil war. Pay-pay, who is still regarded as a Mobutiste to a certain extent, has been a member of parliament since 2003. He is the presidential candidate of the Coalition des démocrates congolais (CODECO) political platform, which he created. The coalition has 602 legislative contenders, putting it second after incumbent President Joseph Kabila's People's Party for Reconstruction and Democracy (PPRD). Pay-pay's stronghold is in the province of South Kivu. However, he benefits from openings in other provinces due to the political alliances he has created. "I will be present for the second leg of the elections," he was quoted as saying. His political agenda includes the management of the country in line with international institutions; the autonomy of the central bank; the independence of the judiciary; improved working conditions; regular salaries for civil servants; and the implementation of a commission to reform the army.